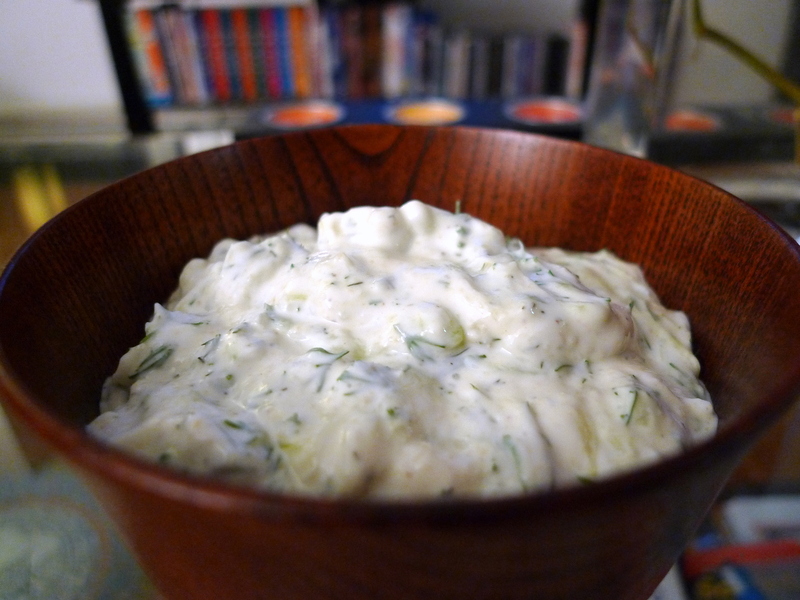 Jen and I have been meaning to make tzatziki ever since our trip to Greece in 2007. We even bought the herb mix for it at the market during our trip. But somehow we’ve managed to forget until Jen decided to concoct the Mediterranean Feast of Baked Stuffed Peppers and Falafel Sandwiches. I used a recipe from our trusted guide, the Essential Mediterranean Cookbook and adjusted it a bit by replacing mint with dill to get to the result below. Cut cucumbers in half lengthwise, scoop out the seeds with a teaspoon and discard. 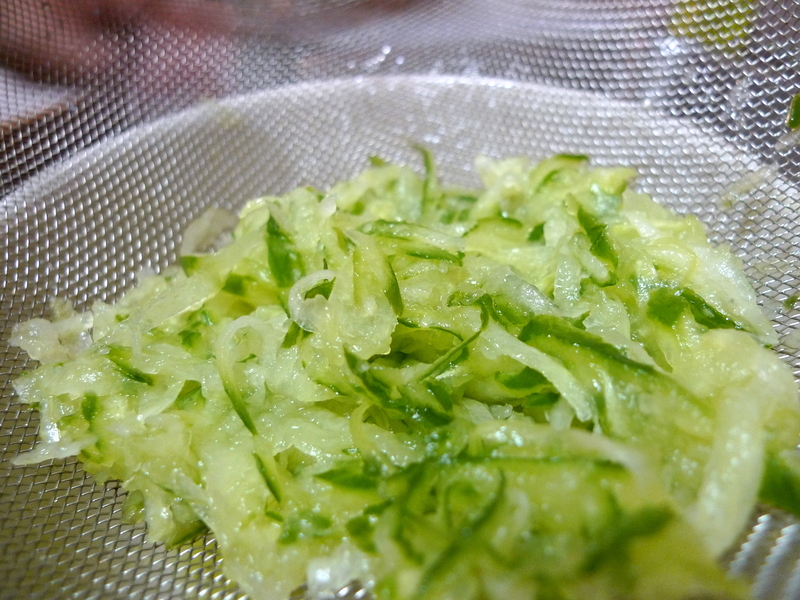 Leave the skin on and coarsely grate the cucumber into a small colander. Sprinkle with a little salt and leave to stand over a large bowl for 15 minutes to drain off any bitter juices. Meanwhile, stir together the yoghurt, garlic, dill and lemon juice in a bowl. Rinse the cucumber under cold water then, taking small handfuls, squeeze out any excess moisture. Combine the cucumber with the yoghurt misture and season, to taste. Serve immediately or refrigerate until ready to serve. 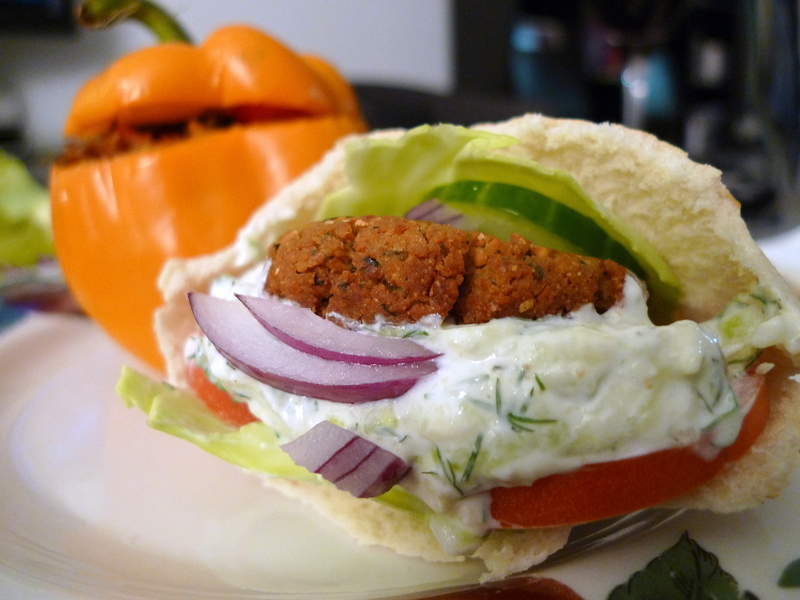 Tzatziki can be served as a dip with flatbread or as a sauce for seafood and meat.